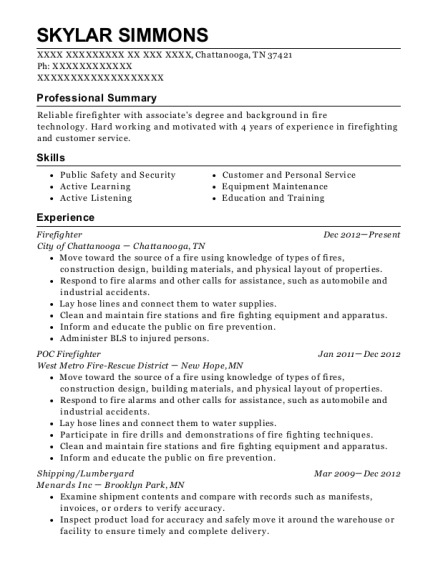 Cook and serve meals and refreshments following employer's instructions or own methods for elderly residents. Setup dining area for breakfast. Operate various types of equipment, such as computer scanning equipment, and bar-code sorters. Deliver car Parts to mechanics, auto parts store, and to other warehouses. Setup display of food for the customer. 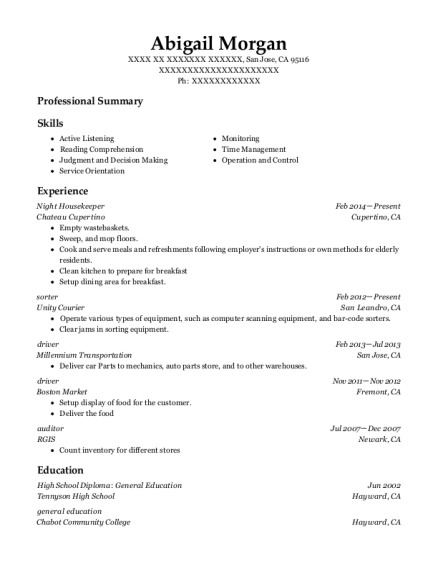 This is a resume for a Night Housekeeper in San Jose, California with experience working for such companies as Chateau Cupertino and Unity Courier. 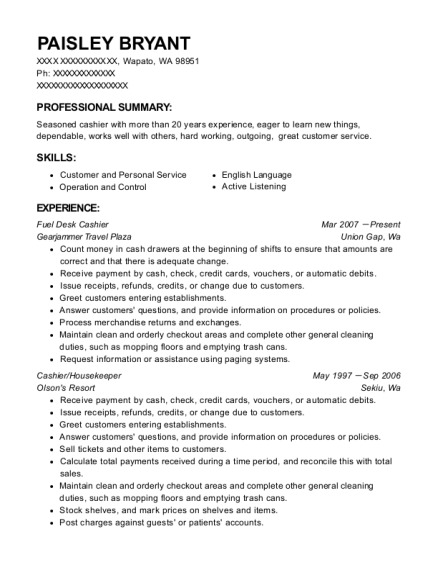 The grade for this resume is 0 and is one of hundreds of Night Housekeeper resumes available on our site for free. 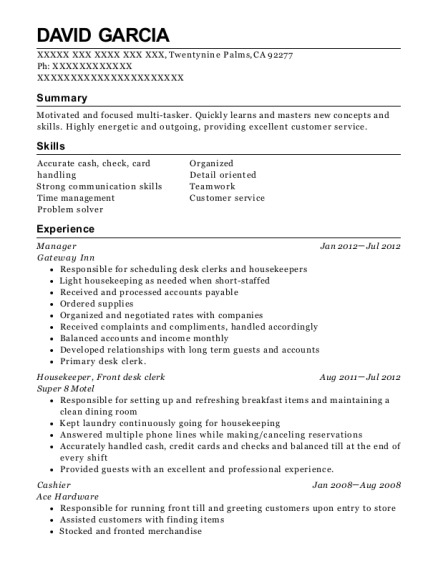 Use these resumes as templates to get help creating the best Night Housekeeper resume.